There are no LPC (lamp-post caches), guardrails, or PnG's (Park and Grabs) for you! You're all about creativity, the higher the Favorite points the better, and like a fine wine these quality caches have stood the test of time. Each month from September through December, use the Friend League to individually earn points toward a new Geocacher Personality Souvenir and get the matching trackable tag to celebrate! Are you an Adrenaline Junkie? A Caching Connoisseur? A Social Butterfly? 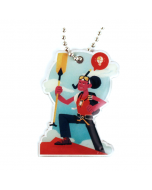 A Trackable Lover? Collect them all to be the ultimate geocacher! 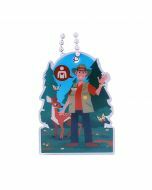 The "You might be a geocacher if..." series is trackable at Geocaching.com and includes 4 digital souvenirs and a collection of 4 trackable tags. The Caching Connoisseur tag is the second in this series with Adrenaline Junkie being the first.